Zoe is Mokoro’s Projects Officer, contributing to the development, communication and implementation of Mokoro’s consultancy portfolio, whilst also providing support to company-wide projects, operations and processes. Before joining Mokoro, Zoe was the Business Manager of Oxford HR, managing a team of researchers sourcing senior-level international development professionals, maintaining quality standards and supporting the day to day management of the business. 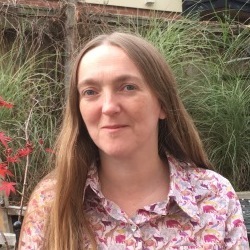 Earlier in her career Zoe worked in community development in Oxford’s ‘areas of deprivation’, coordinating all aspects of a portfolio of community health projects, liaising with funders and partners and developing new work. She also has voluntary experience in co-operative housing, community work and as a carer.